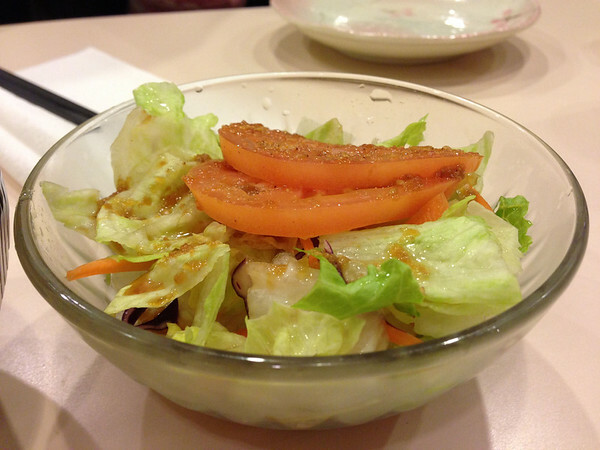 Since the reopening of Fuji Sushi, I have been back to Fuji Sushi to give it a second try. And I have more than impressed how much they have improved their service since their reopening. Service has definitely been notably faster and more attentive. 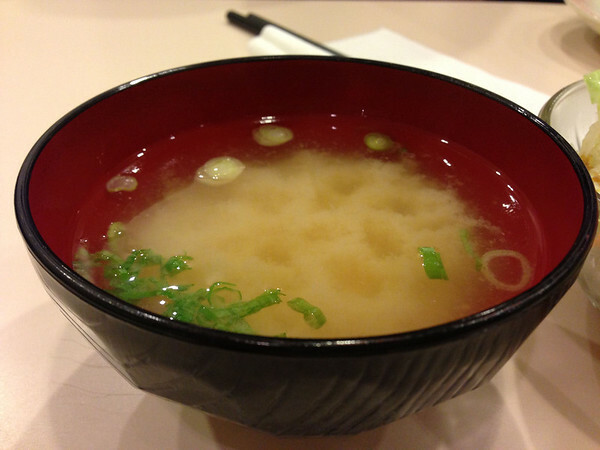 We were seated at a booth this time, and it certainly felt awkward sitting at a booth inside a Japanese restaurant. Especially awkward because I have sat at the same booths from the previous and previous restaurants. Anyway I won’t go into too much details about Fuji, as I’ve explained it in my previous posts. On to the good stuff, the FOOD!! 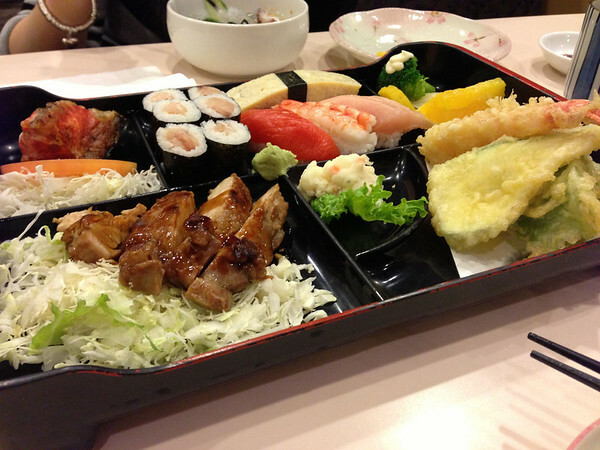 The green salad and miso soup came with the dinner bento that we’ve ordered. 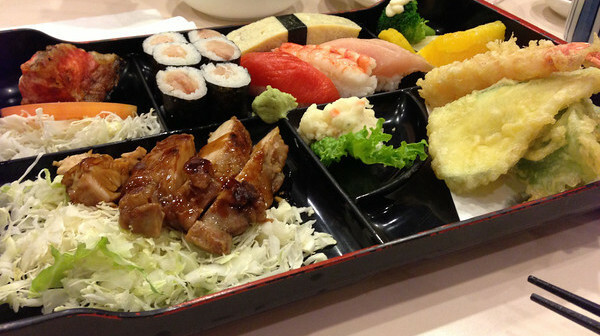 I am pretty impressed with the sushi bento everytime I come, you get a choice of teriyaki and a variety of nigiri’s, tempura, tuna roll and their special of the day – which was a deep fried salmon ball thing today. Ingredients are all served very fresh. 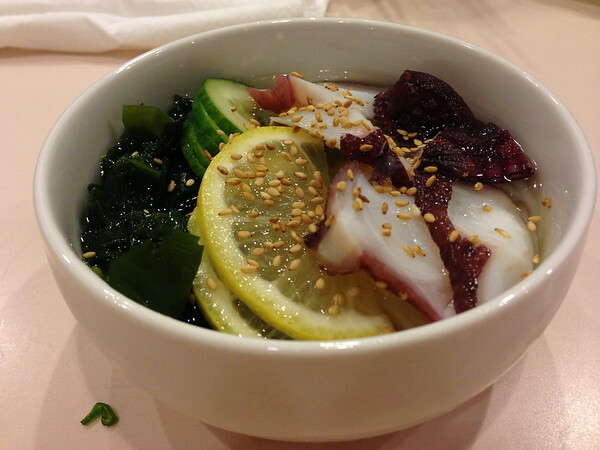 My girlfriend likes the sunomono here because the sourness is less powering than most places and you can see that the sunomono is presented quite nicely with a bunch of other ingredients. 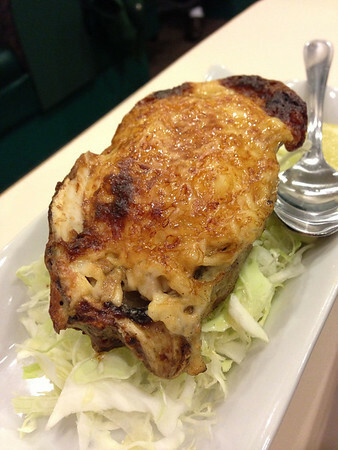 They didn’t have this a few times we came back, but finally I get to retaste the goodness of their oyster motoyaki. It’s served right out of the oven, so careful, this thing is hot! But what I like most about this is not the oyster, even the onions they put in here are sweet to taste. It’s really good. We didn’t get enough nigiri’s in the dinner set, so we added a few of our own. 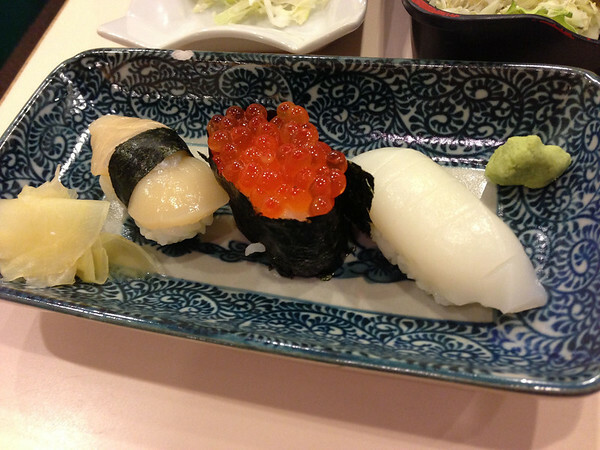 We got a Hotate, Ikura, and Ika (from left to right). We always get nigiri here because it’s better than their rolls. If you want rolls, this isn’t the best place to have rolls because in Japan they serve nigiri’s and not rolls. I was surprised when I got the bill, what seemed to be a lot of food didn’t cost all that much. 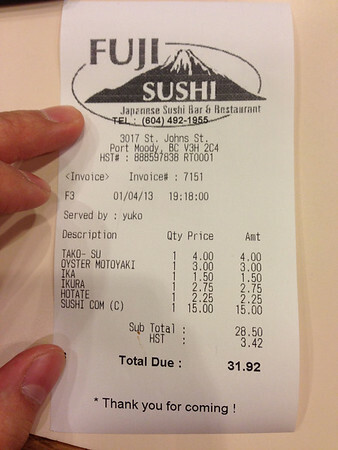 Tonight was probably the cheapest I’ve had at Fuji Sushi ever (besides lunch).